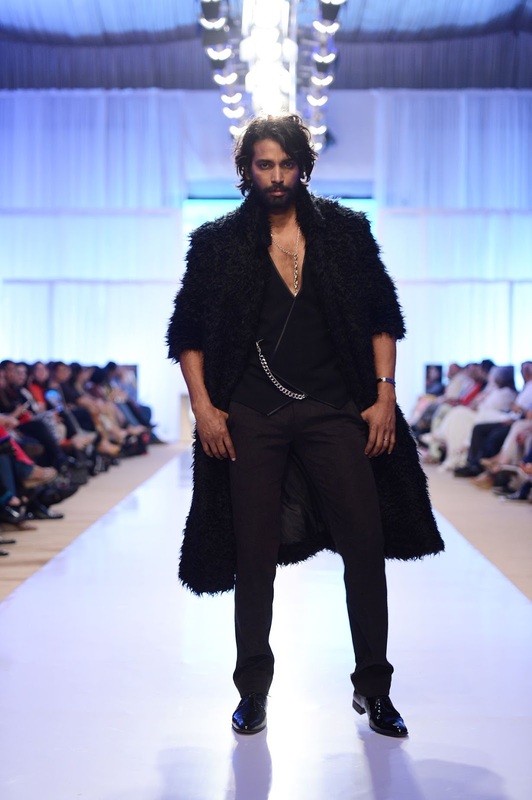 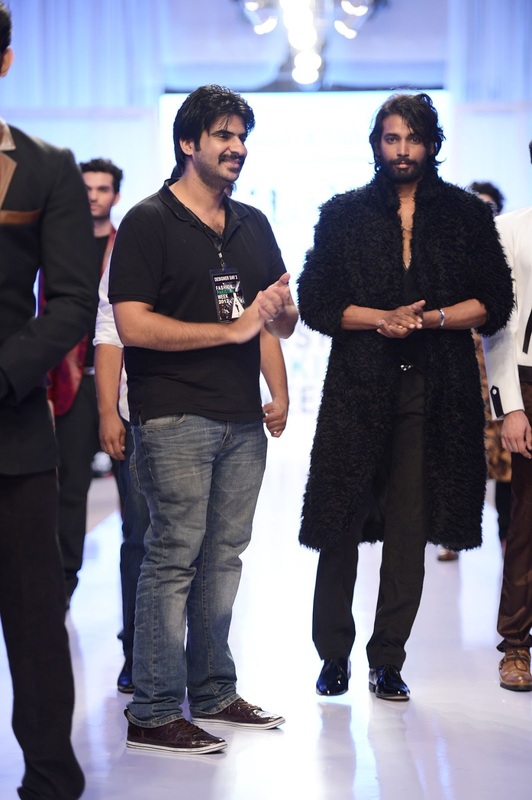 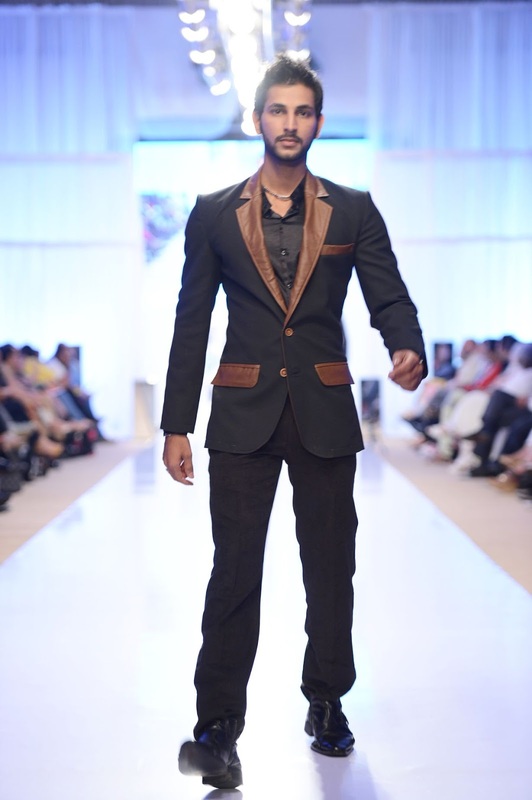 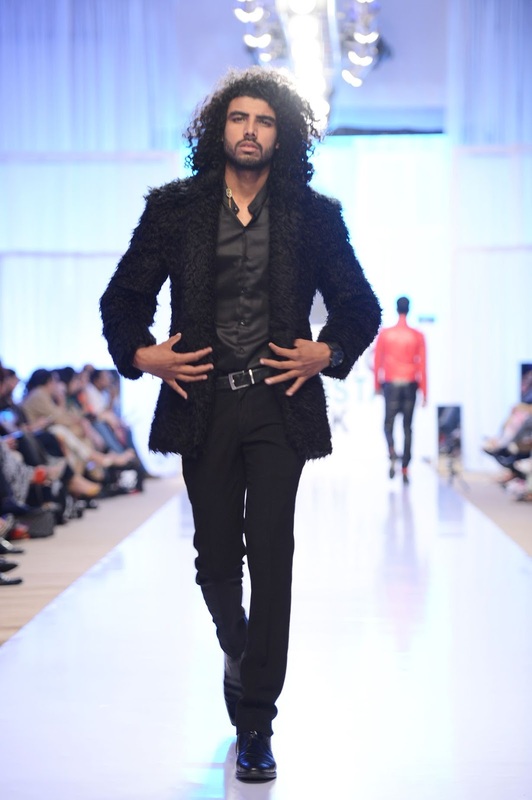 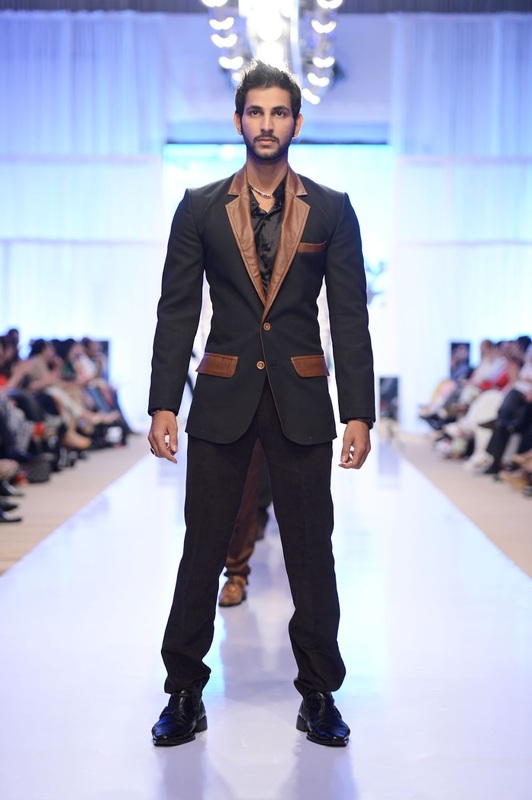 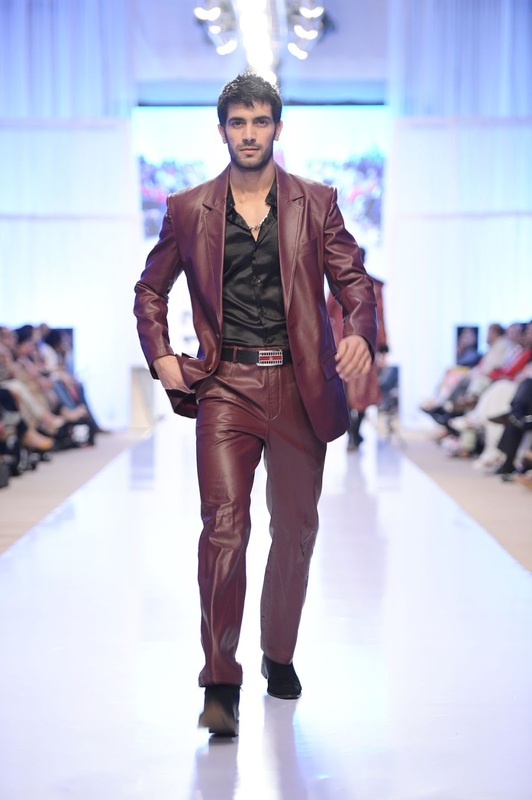 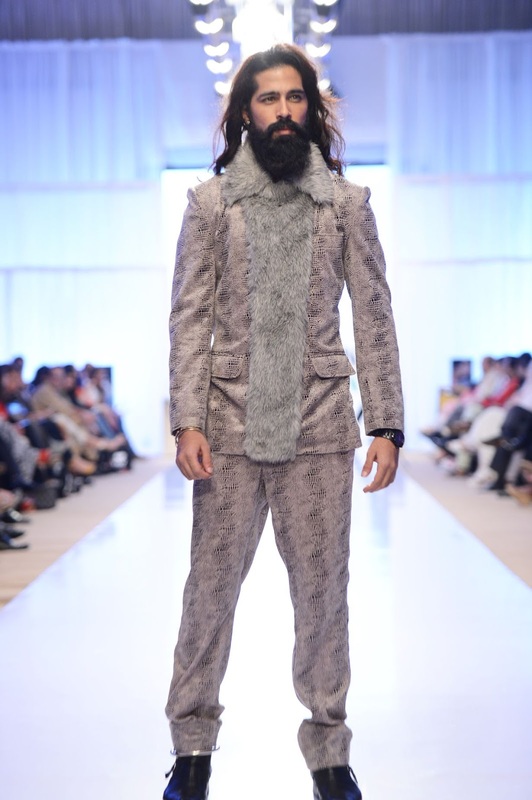 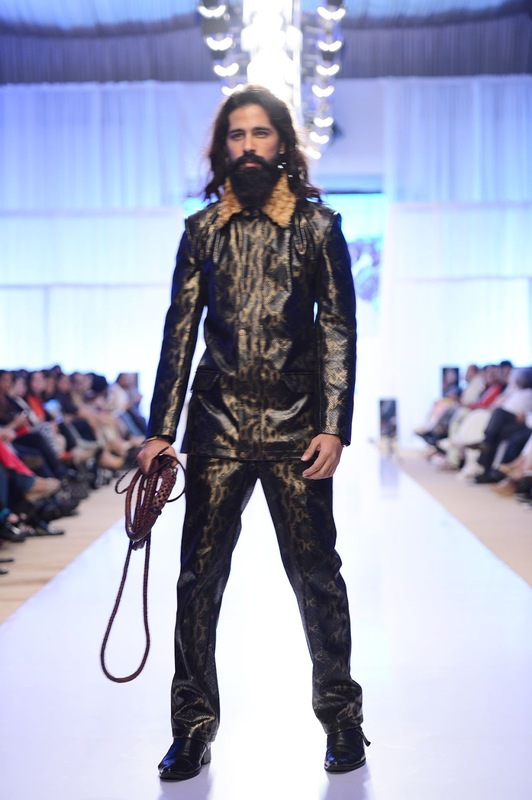 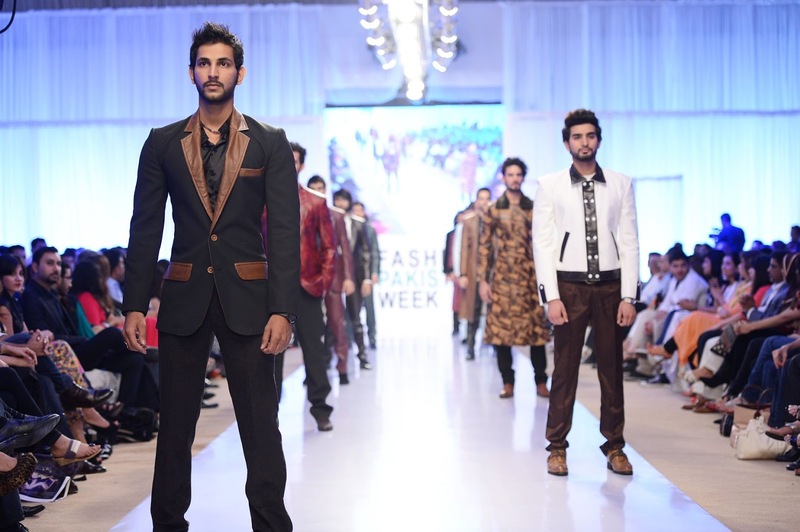 Arsalan &Yahser’s collection was inspired by the designers’ love of leather as an integral part of a man's wardrobe in the winter. 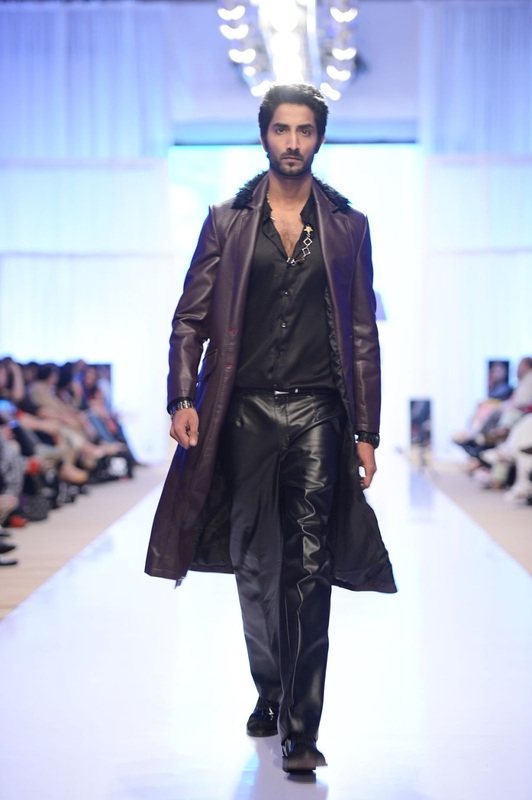 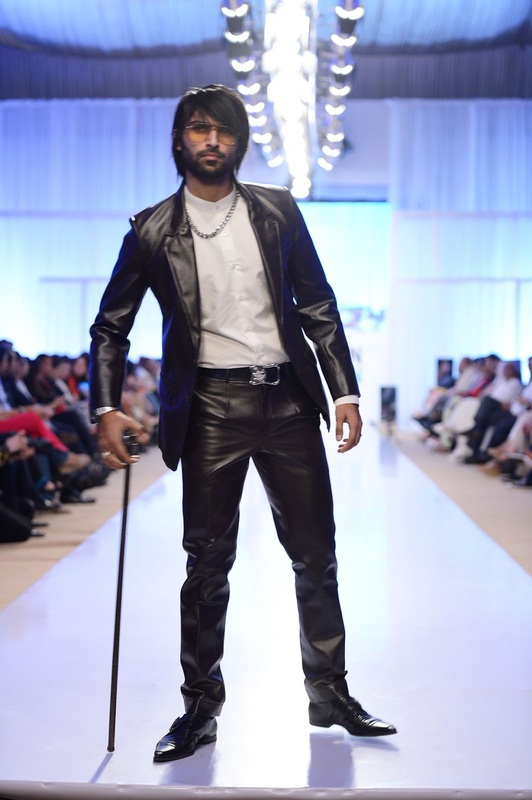 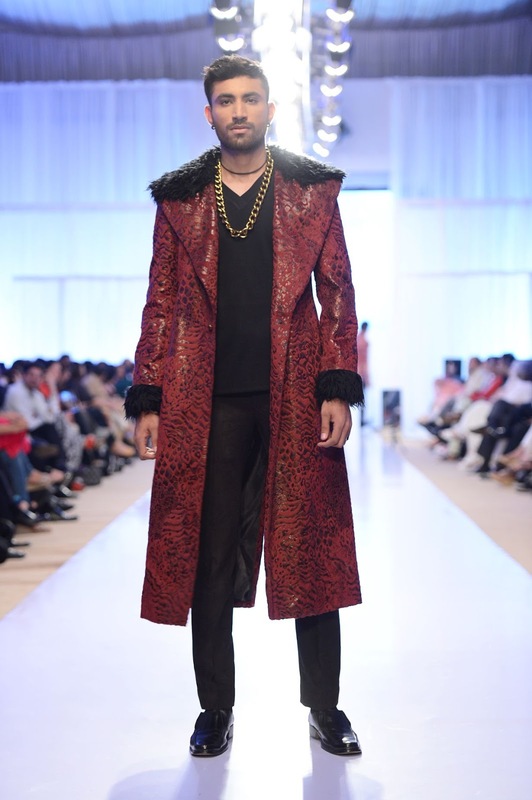 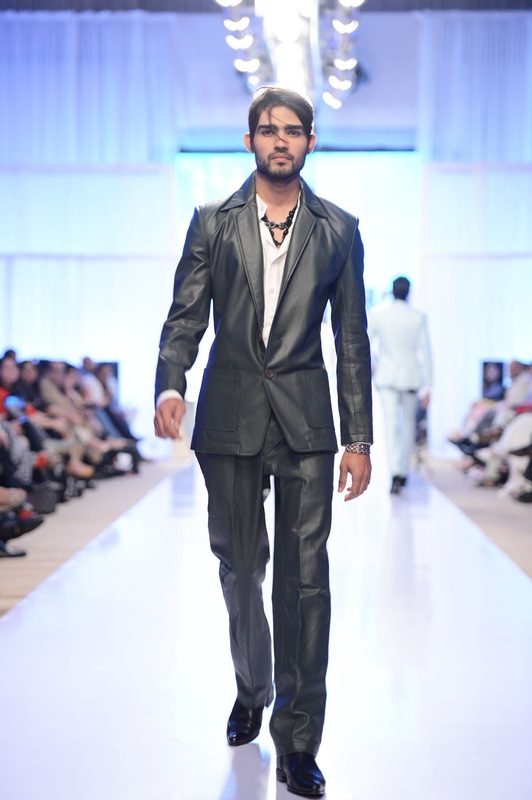 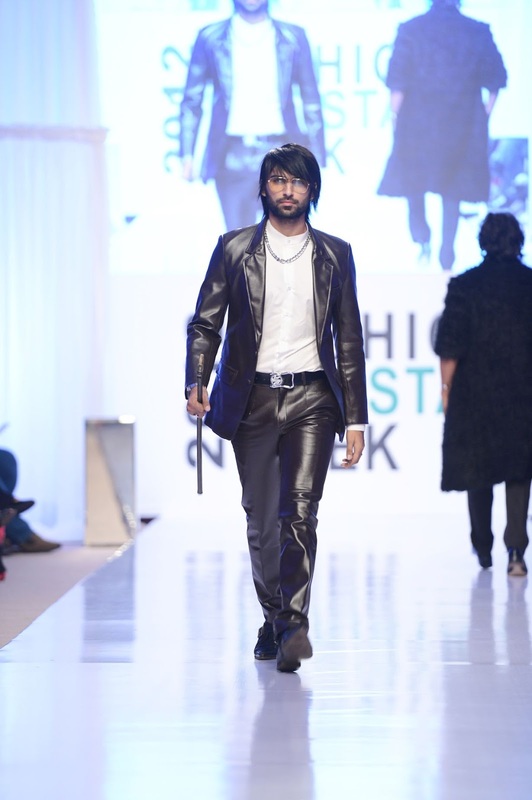 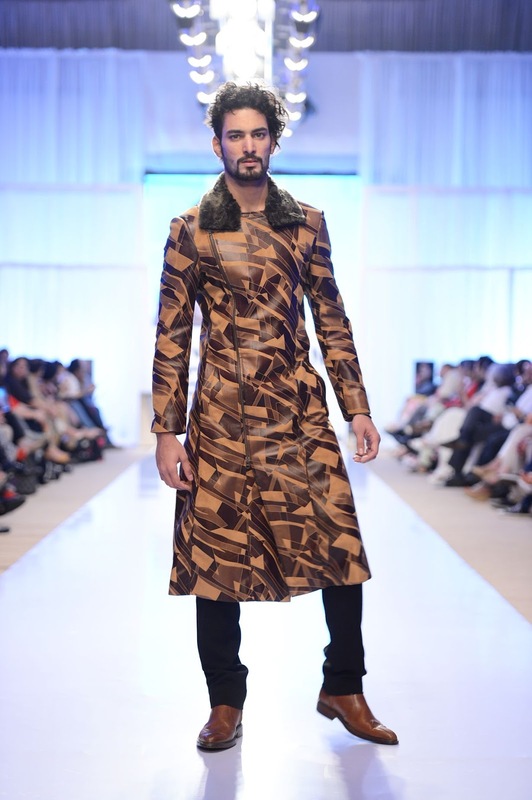 Celebrating the spirit of the Urban Ghetto, Arsalan &Yahseer’s collections - “Urban Slick” – uses pure leather, along with synthetic leather and leatherette, with minimalist details. 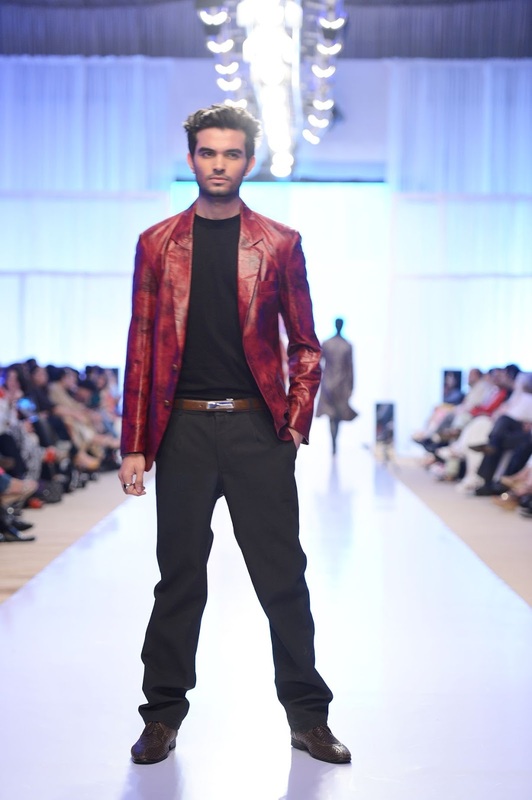 The colour palette ranges from black, brown, beige, white, electric blue, grey, to red and maroon.